A team of professionals, led by two medical doctors, will continue to serve in the Kuantan’s gurdwara management committee (GMC). At its annual general meeting (AGM) today (20 March 2016), private dental clinic owner Dr Dharshan Singh was reelected as the Gurdwara Sahib Kuantan GMC president for the third consecutive year. The GMC serves for a year. The Kuantan gurdwara rules does not impose any limitation as to how many years a person can serve as the committee president. “We are going to install the lift, hopefully, in June,” Kuantan GMC president Dr Darshan tells Asia Samachar. The lift project is estimated to cost RM90,000, with another RM25,000 to be raised. 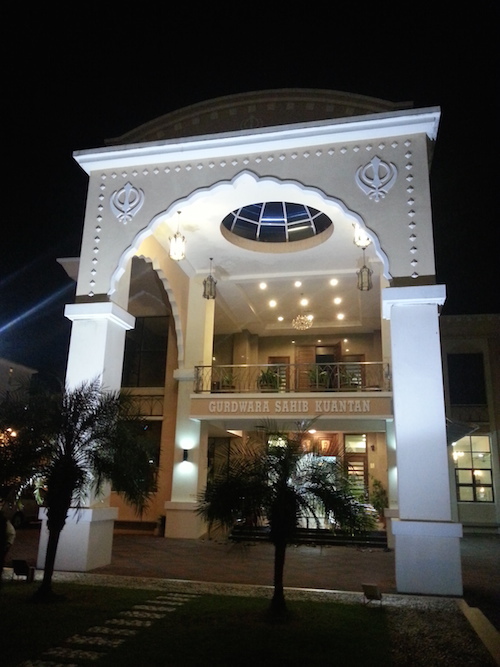 The gurdwara in Seremban had recently unveiled its lift. See here. “Another major project is to decide what to do with a piece of land now registered under the gurdwara,” he said in a telephone conversation. The land was donated to the gurdwara some four decades ago by the late Hari Singh. “It was given over verbally. When I came on board the committee, we managed to get the land registered under the gurdwara,” he said. The committee is exploring options on what best to do with the three quarters acres of land located in the heart of Kuantan town. On the Kuantan GMC make-up, the deputy president is Dr Ovinderjit Singh who runs his own private medical clinic in Kuantan. The GMC secretary is Sourjan Singh, an information technology manager at a major MNC in Kuantan and treasurer is entrepreneur Surjit Singh. Assistant secretary is lawyer Harinder Singh while the assistant treasurer is warehouse manager Darshan Singh. 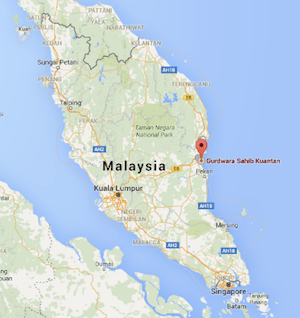 Kuantan, the state capital of Pahang, is about 250km to the east of Kuala Lumpur. The gurdwara serves about 100 families, including those living in Kemaman, a district under the neighbouring state of Terengganu. “Sikhs families from Kemaman area also come to this gurdwara. The drive is about half an hour for them,” said Dharshan.